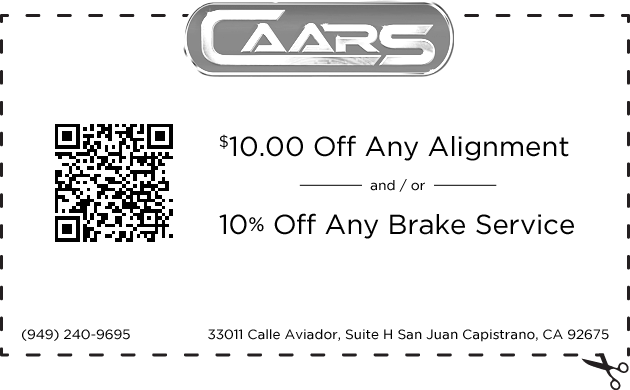 Print this coupon out and receive $10 off any alignment and/or 10% off any brake service! Call (949) 240-9695 to schedule your appointment. Conveniently located in South Orange County serving San Juan Capistrano, Laguna Niguel, Dana Point, San Clemente, Mission Viejo, Ladera Ranch and the surrounding areas.